Should you have your ducts professionally cleaned? If you’d like to maximize the reliability, safety, energy efficiency, longevity, and overall performance of your HVAC system, the answer is YES. If you’re looking to improve the cleanliness, comfort, and health of your home, once again, that’s a YES. To make sure you get the best possible results from the service, call on the dedicated, NATE-certified team from DiPaola Quality Climate Control. 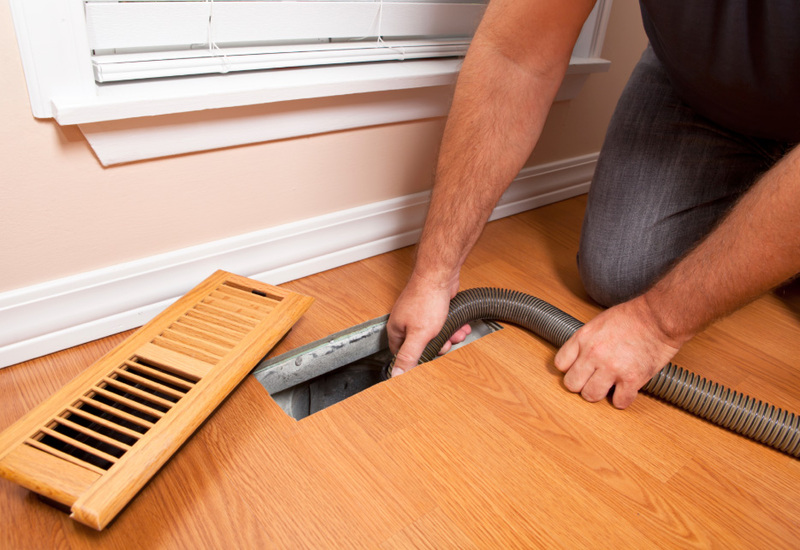 We provide affordable, thorough duct cleaning across Southwestern Pennsylvania. Call today for duct cleaning, repairs, and maintenance! Not sure if your ducts require cleaning? Let us complete an accurate inspection, and we’ll offer honest answers. Removing the accumulation of debris such as dust, pollen, mold, mildew, bugs, webs, dander, and even decomposing rodents promotes maximum airflow. Peak performance lessens running times, energy consumption, and wear and tear on HVAC equipment, while enhancing air quality and evenly distributed comfort. The process is quick, non-invasive and definitely pays for itself. Taking advantage of the cutting-edge technology, DiPaola Quality Climate Control handles the job without damage or mess, and delivers exceptional value across New Eagle, South Park Township, Jefferson Hills, Venetia, Clairton, McMurray, Donora, Monongahela, Gastonville, West Newton, Bentleyville, PA and surrounding areas. Annual maintenance reduces the likelihood of premature failures and prolongs the lifespan of your equipment. If you're looking for more value from your HVAC contractor, DiPaola Quality Climate Control LLC can deliver it. Take a look at our current specials below. Get $200 OFF the installation of any furnace, air conditioner, and one indoor air quality accessory with this coupon. Not valid with other offers or prior services. DiPaola Quality Climate Control LLC. Get $100 OFF the installation of a furnace or boiler with this coupon. Not valid with other offers or prior services. DiPaola Quality Climate Control LLC. Get $30 OFF any service call with this coupon. Not valid with other offers or prior services. DiPaola Quality Climate Control LLC. Get $10 OFF the purchase of a service agreement with this coupon. Not valid with other offers or prior services. DiPaola Quality Climate Control LLC. DiPaola Quality Climate Control, LLC was created in 1986 and specalizes in installation, maintenance and repair of furnace and air conditioning systems.